The ZoneFlex 7055 is the industry's first dual-band dual-concurrent wall mounted wired switch and wireless wall switch designed for next generation wireless. The ZoneFlex 7055 features integrated 2.4 GHz and 5 GHZ concurrent 802.11n WLAN radios, five wired Ethernet ports, PoE output, and a pass-through port for devices such as digital phones that require native access to a PBX system. Designed with hotels and multi-dwelling units in mind, the ZoneFlex 7055 is easy to mount to an electrical junction box and has a sleek and low-profile form factor. 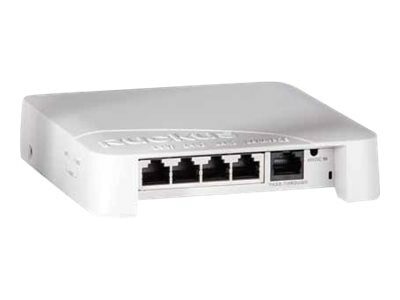 It provides flexible deployment options with Ruckus SmartMesh networking for areas without existing Ethernet infrastructure.